The lilacs are blooming in my handcrafted soap. The color is a soft lavender with pretty cream swirls. This soap batch has been made with the cold process method of soapmaking. I make my handmade soaps with food grade oils like Olive, coconut, palm kernel, castor and beeswax. It is crafted from scratch using the best ingredients available. 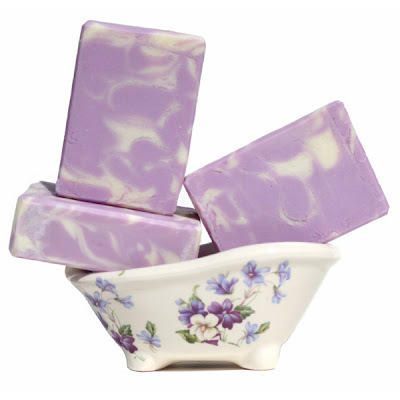 If you love lilacs like I do, buy this lilac scented soap at Ginger's Garden Soaps.